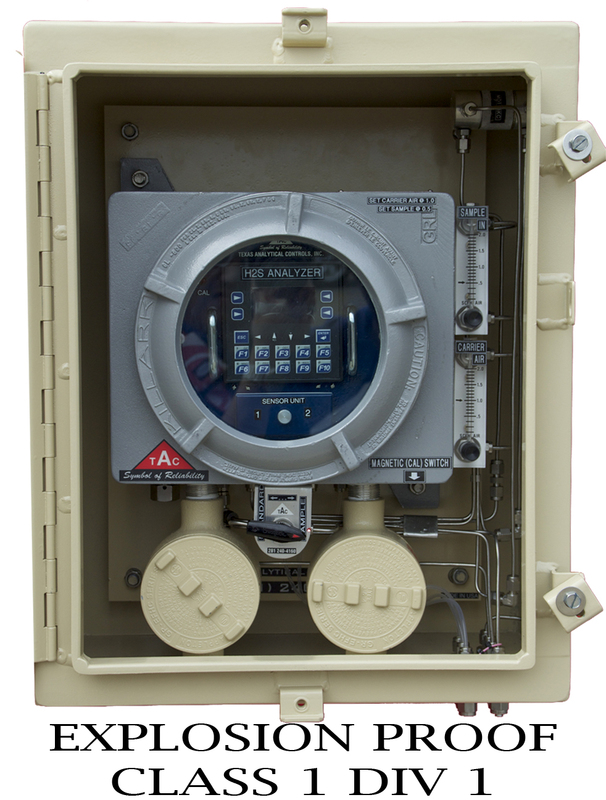 Choose Texas Analytical Controls for reliable, economical H2S monitoring. 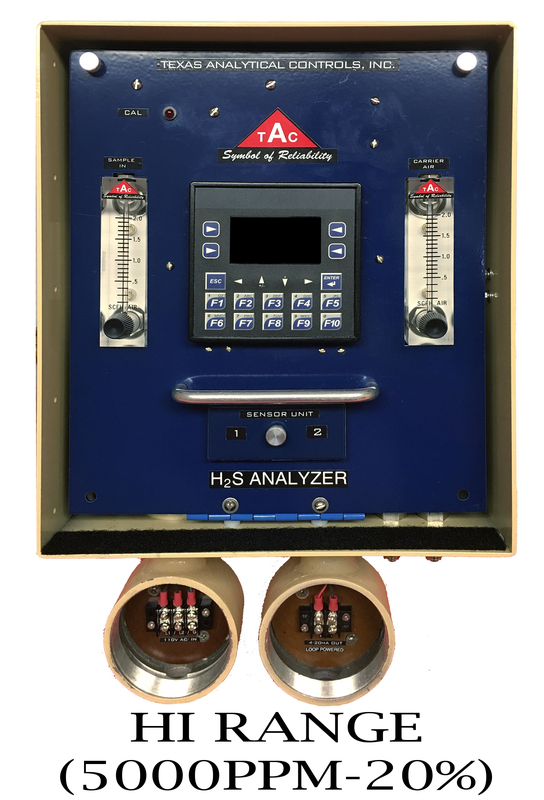 With two H2S sensors, the TAC analyzer is your first choice for reliable H2S monitoring in the field. If the output of one sensor fails, you can easily disable it. 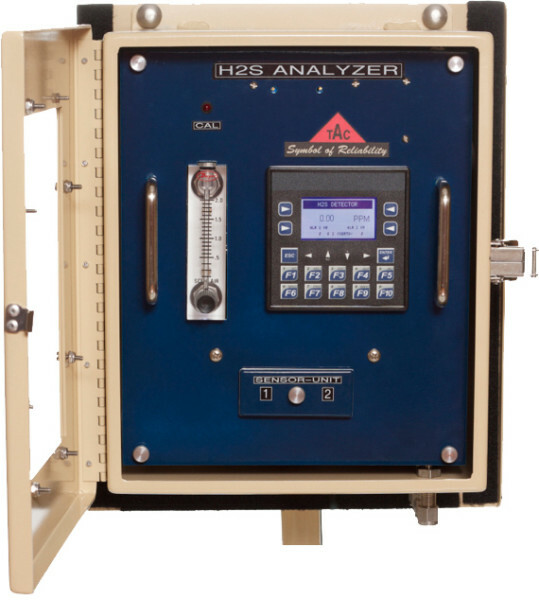 The analyzer will continue to operate reliably, assuring you of consistent H2S monitoring over time. 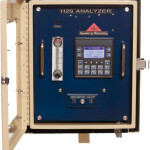 The TAC analyzer outshines the competition when it comes to ease of operation and maintenance. Sensors typically last a full year and can be changed in just a few minutes. No special tools are required. Calibration is simple and can be done in less than six minutes. 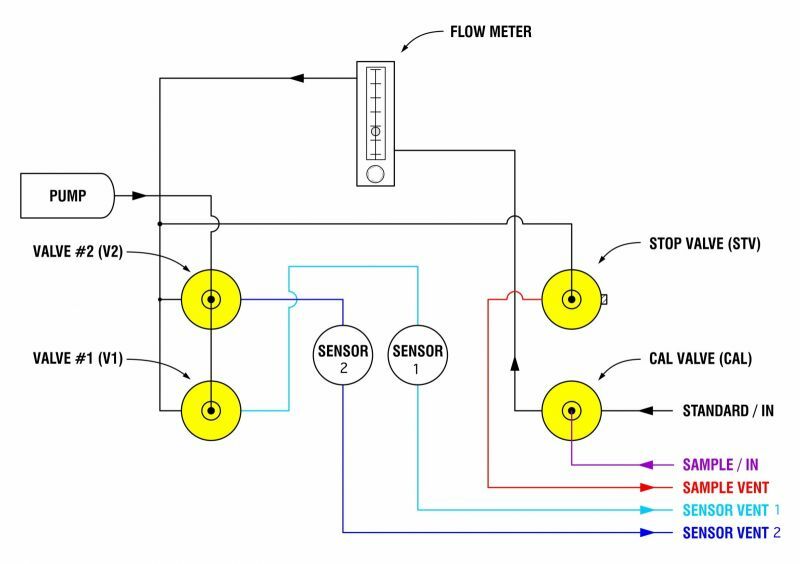 Calibration can be set up to occur automatically, reducing the time required in the field, or can be performed manually. 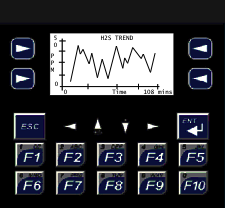 You will find the analyzers are easy to maintain. Technical support is available via phone or in person by one of our service technicians. 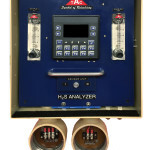 We have updated our analyzers so that replacing H2S sensors are done by removing just one thumbscrew. 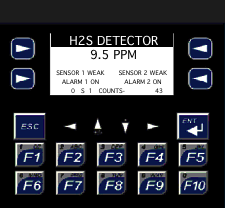 The analyzer will display “Sensor Weak” when the H2S sensors are 75% used. This new feature provides the operator a warning to change the sensors. A bump test can be performed to verify readings without removing the sample line. This also saves the operator from completing a full calibration that takes 10 minutes. The display will read “Flow Fail.” If the regulators and the flow meter(s) are not working properly and the sample to the analyzer is obstructed. 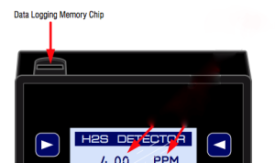 The SD memory card is used to store Historical Calibration and Alarm Data. Each analyzer has the ability to be given a Name or ID. The selected ID name will also be displayed when downloading data from SD card to a spreadsheet. 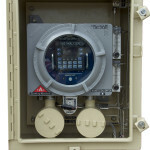 Customer to specify a range and can be field programmable to alarm at any desired set point. 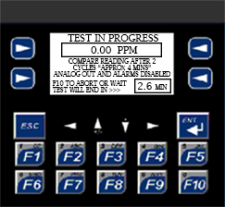 An LED indicator on the front panel illuminates when the analyzer is in calibration mode.